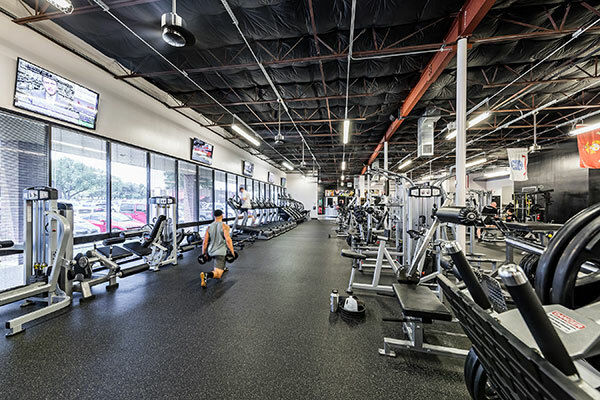 For over 30 years, Fitcorp USA Inc., the parent company of Busy Body Commercial, Busy Body, and Fitness HQ retail, has served as your one stop shop for all fitness equipment supply, design, and service needs. What started as a single bicycle shop in Dallas, Texas, is now the 4th largest specialty fitness chain in the US! In an always changing industry, Busy Body Commercial is on the cutting-edge of the latest and most innovative products in the fitness industry. We take pride in our work, by not just supplying our customers and partners with great quality equipment, but we strive to provide the best experience, by setting proper expectations and having the upmost integrity in all that we do. We can fully design fitness facilities for corporations, hospitality businesses, multi-family, municipalities, and more. From the frame colors to the upholstery, we will customize your space for you. We offer our clients a large variety of equipment selection for their fitness facility designs, including an array of brands for treadmills, ellipticals, fitness accessories, and so much more! We offer free onsite assessments with our professionals to thoroughly review your current equipment, measuring age, life expectancy, repairs and maintenance which may be needed. 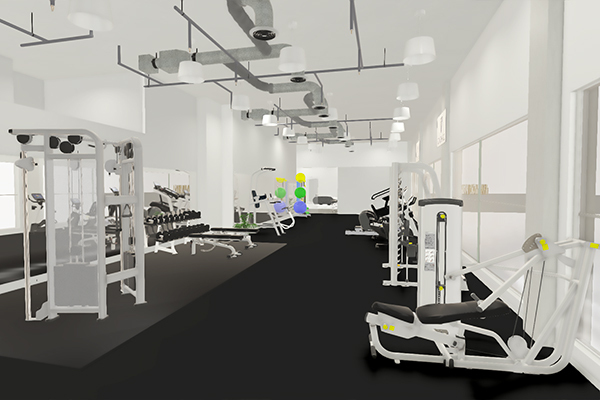 Before we begin designing your project, we implement 3-D design software that allows us to show you exactly what your fitness facility will look like before we even start the design. We strive to provide a smooth, simple process for our clients, which is why we fully take care of delivery of equipment, installation, and removal of old equipment and trash. We take the time to speak with the contractor throughout the process, and also make onsite visits to ensure proper electrical, blocking, and flooring requirements are all met. Over time fitness equipment will have wear and tear, so we offer servicing and onsite maintenance to your equipment to ensure that it stays fully functioning for as long as possible. 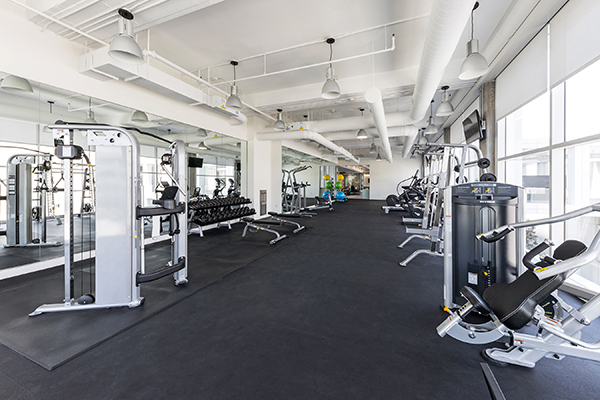 We will supply and install flooring for just about any fitness facility project. With our variety of color choices and flooring options, you’re bound to find something you love. Once the facility is complete, we offer a grand opening party to support and educate your team members with demos on how to use the equipment and answer any questions. The mock up we created with our 3-D modeling software. The finished design BuiltCo fitness facility in Dallas. Our goals is to provide our customers and partners with premium products and services, with the best integrity and experience in the fitness industry. We value our relationship with our customers and take pride in our design process.